Our merchandise is value priced (from $1 and up). 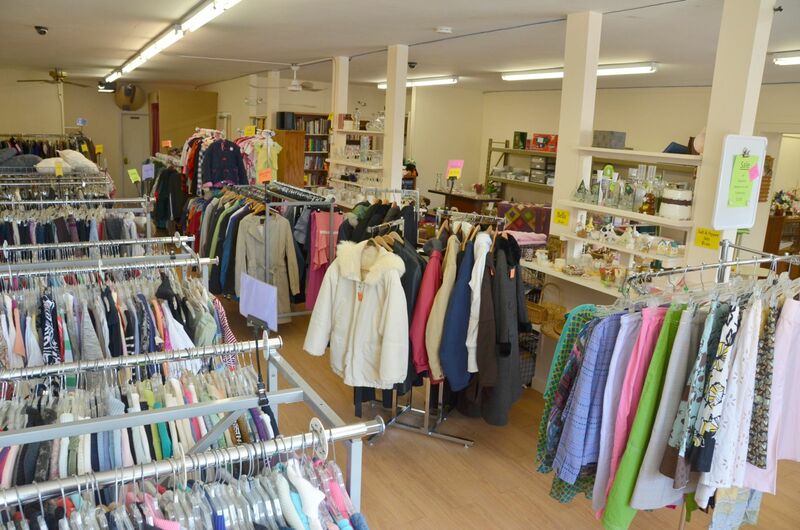 We offer gently used clothing for infants, men, women and children. We also have a wide variety of shoes, china, household items, small appliances, collectibles, books, toys, and giftware. Just 15 miles NW of downtown Chicago, and close to O’Hare International Airport and expressways, Avenues Thrift Shoppe is conveniently located at 7710 W. Touhy Avenue in Chicago (just west of Overhill). 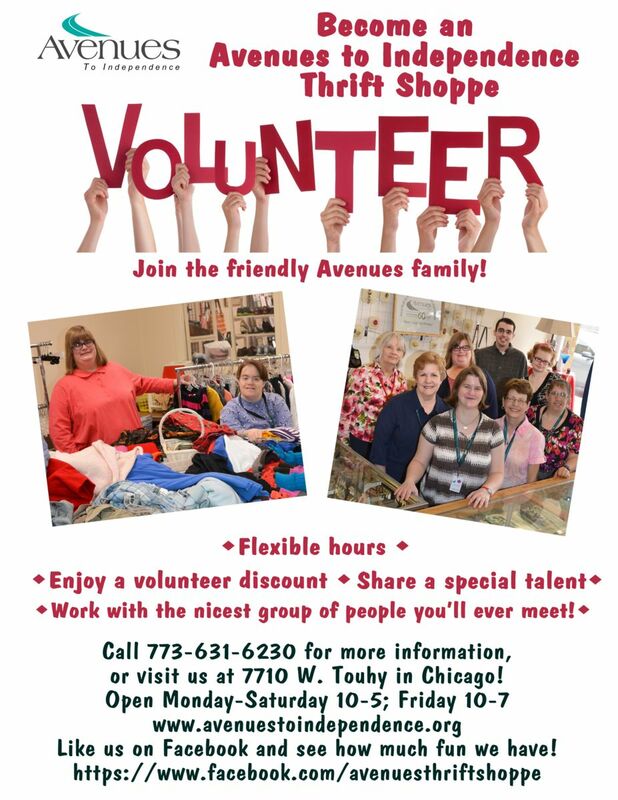 Come visit our friendly shoppe - Avenues program participants who are part of the Thrift Shoppe team look forward to meeting you! 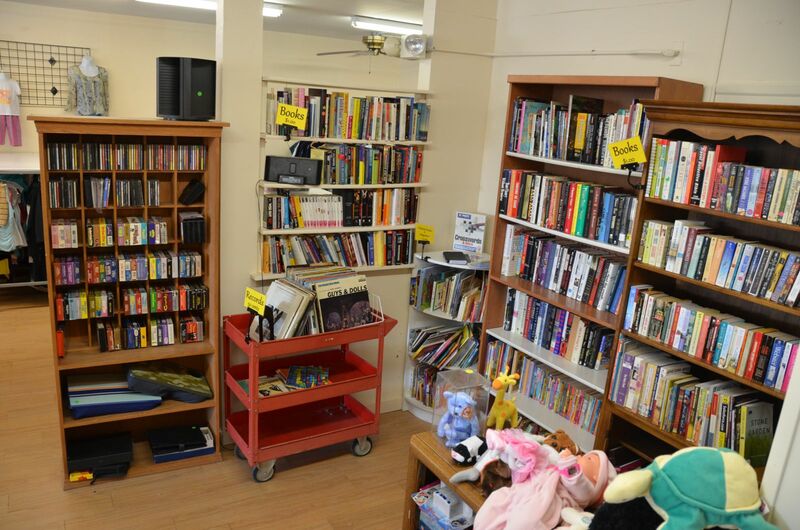 We accept donations Mon - Sat from 10 am – 3:00 pm. Please bring donations to the back door of 7710 W. Touhy Avenue. We do not accept donations at the front door. If you are unable to drop-off your donations Mon-Sat from 10 am - 3 pm, please place your donations in our AFTER HOURS DONATION SHED by the back door. Receipts will be given upon request. For information on donations or to volunteer, please call (773) 631-6230.